Pat Schultz, Reformer or Hypocrite? During the dark days of the Boettger & Sigwalt administration, when “No-Opinion Audits” were just as common as handing out candy on Halloween and collusion among Village Board members to stifle dissent was justified to move Carpentersville “FORWARD.” It seems that we’re revisiting history. Back in those Dark Ages, Pat [Patricia] Schultz was among many, who found the tactics of the Boettger/Sigwalt administration as being DICTATORIAL and unhealthy for Carpentersville’s finances and transparency. Now that she is elected and is part of the political machine, she has embraced the former tactics of the Boettger/Sigwalt administration. She believes “secrecy” is now the best policy. No need for public input from the taxpayers, since the “political machine” knows best! I guess it proves that evolution is a fact! Politicians, such as Pat Schultz, promises reform and transparency, but once elected they become the monsters that they once fought against. The Illegal Alien Sympathizers, will be Leaving public Office on Tuesday, May 5,2009. Thanks to the Responsible Voting Public of Carpentersville. Sarto received only 16% of the votes in 2009 but, lost more than 50% of his Original supporters from 2005. The statistics in 2005, Bill Got, 766 Votes, over 50% to Paul Humpfers 728 Votes this was out of, 1494 Votes cast’s which was a actually a pretty tight Race. Now in 2009 Bill Sarto, receives only, 341 votes out of a total of, 2093. 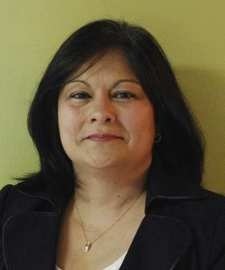 Linda Ramirez Sliwinski who prides herself on Representing the Hispanic Community, Lost because of Her support for Illegal Aliens and Her Help in Issuing Mexican ID cards to those Illegal Aliens. She has also Touted herself as supporting Amnesty for Illegal Aliens and Doesn’t want to enforce current Immigration Laws! It appears That her attitude didn’t bode well for Local Voters. As Evidenced, Sliwinski, Received, 810 out of, 1494 Votes in 2005. When in 2009 she only received, 642 out of, 2093 Vote’s Cast, which is a significant loss in popularity! And for those who are Entertained by Bill Sarto’s Ranting’s. The Daily Herald Blog, has your Fix…….. here…………. there’s only a Limited amount of time. Apathy won the election in Carpentersville on April 7th. Less than 15% of the registered voters voted. Of that number only 48% voted for the winner and 52% voted for someone other than the winner. That’s hardly any mandate! 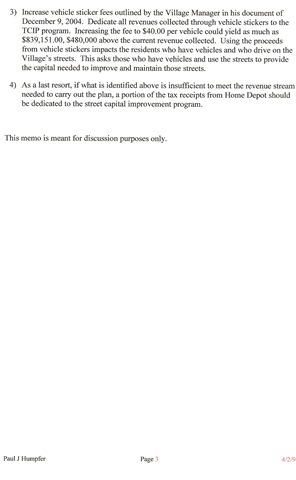 In response to Bill Sarto’s blatant Lie, We thought we’d tell people the truth about how and when the Capital Improvement Program began. For your information the Main Street Bridge was rebuilt while I was the Village President. The Engineering on that project won the Village an award. The Engineer at the time was our current Village Engineer, Scott Marquardt. If you’d like proof, stop by Village Hall and in the outer office of the Village Manager is the award that the Village won. Can you tell me what part Paul Humpfer played in the finances of the Village? 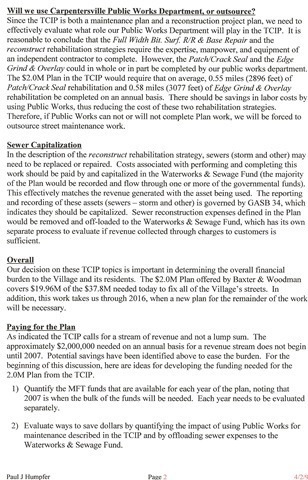 Trustees Sigwalt and Humpfer were on the Village board prior to me and there was NO Capital Improvement Program until 2006. That happened after I was elected. It was a campaign promise that I had made and kept, unlike the promises made two years ago by both Humpfer and Sigwalt that were never kept. I have kept all of the promises I made during the campaign of 2005. See, that’s the big difference between the majority on the board and myself. I keep my word and produce real results. They are all talk with nothing else to back them up. The results have come since my election. 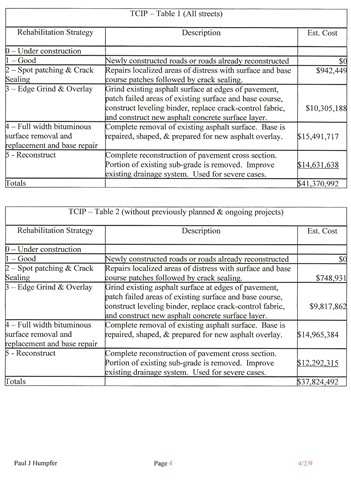 Why didn’t the board previous to my election fix the streets and infrastructure? Why did it take my election to get results? 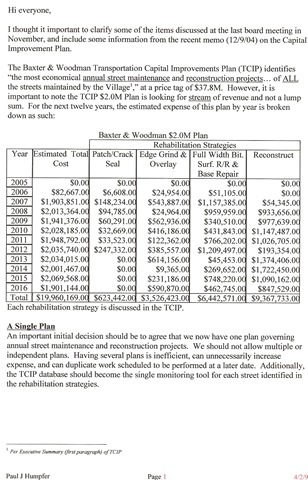 Below are the actual documents that were being circulated in December of 2004 concerning the TCIP.